In 1891, the Oak River School building was moved into the village of Oak River from its former site at SW4-14-22W in what is now the Rural Municipality of Oakview. Between 1906 and 1907, that modest building was replaced by a two-storey brick veneer structure designed by Brandon architect W. A. Elliott and built at a cost of about $12,000. 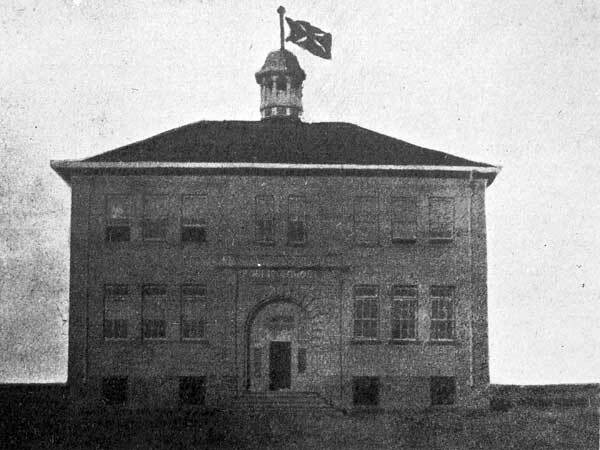 The four-classroom building opened in the spring of 1907 but was destroyed by fire on 21 October 1908. 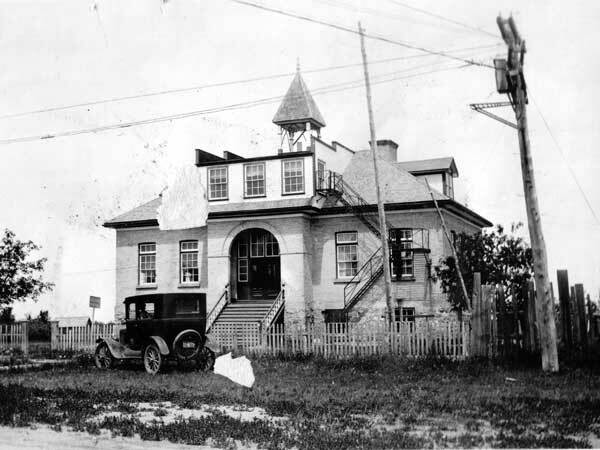 A replacement school was constructed during the summer of 1909 and opened later that year. 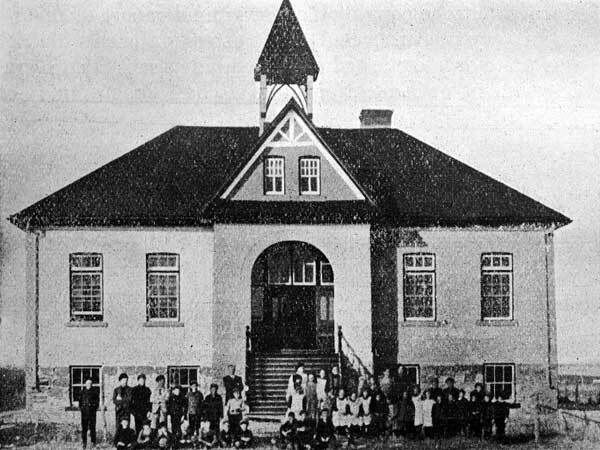 In May 1917, Oak River School was consolidated with three rural schools, Bankburn School No. 1098, Maplewood School No. 662, and Wheatland School No. 304, to form the Oak River Consolidated School District No. 253. Among the other teachers of Oak River School were H. E. Hicks (1890s), Ermina Shier, and A. J. Bell. “Tenders for heating,” Manitoba Free Press, 25 September 1906, page 2. “Oak River School burned to ground,” Hamiota Echo, 22 October 1908, page 1. “Tenders,” Manitoba Free Press, 25 March 1909, page 2. Manitoba School Records Collection (GR2063), Oak River School No. 253 Daily Registers, Archives of Manitoba. Rivers West topographic map, 62K/1 West, Edition 1, Series A743 [Archives of Manitoba]. We thank Therese Shamray for providing additional information used here.